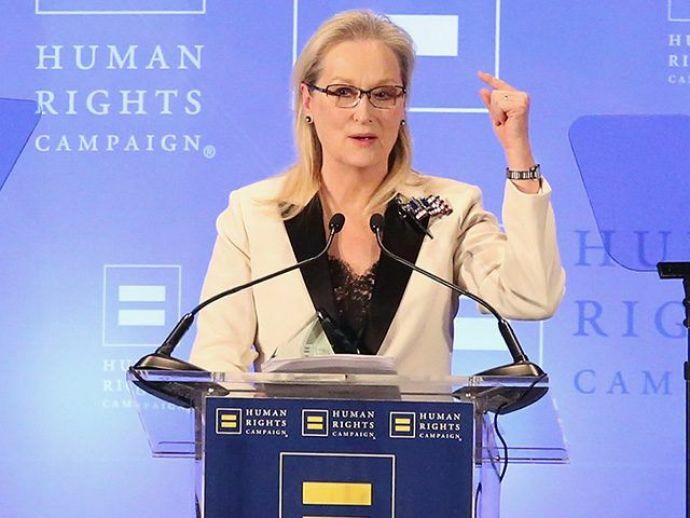 Meryl Streep sure is one hell of a woman! She is outspoken and on point, and that’s the reason whenever she is out there, addressing us it’s always the most sensible things we hear. 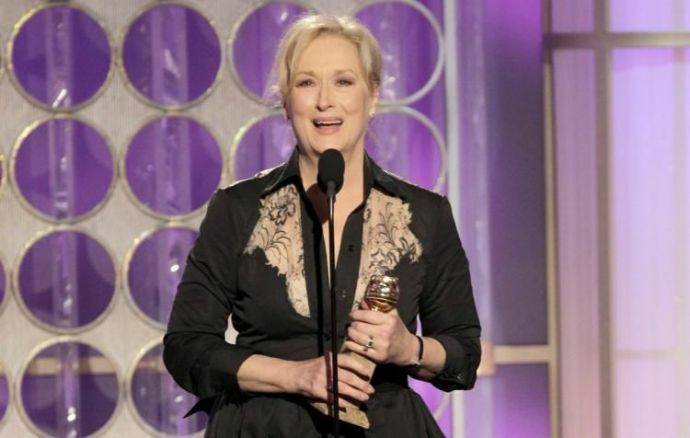 After the unforgettable speech at the Golden Globe Awards, there was a lot of conjecture around it. 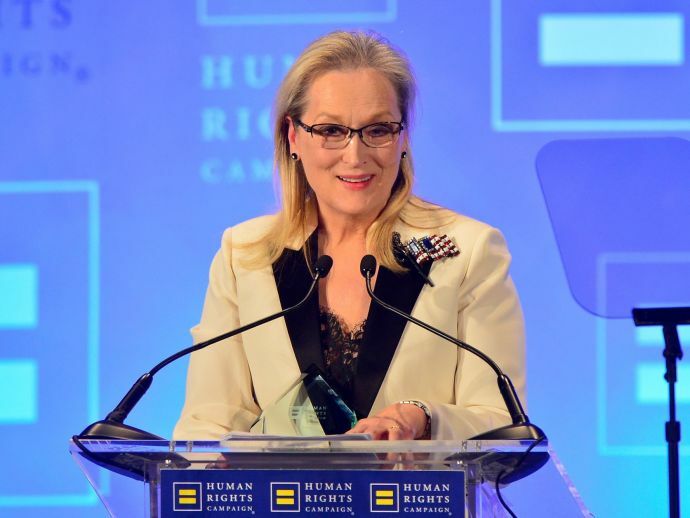 At the Ally for Equality Award, while addressing the LGBTQ freedoms and equal rights she finally opened up about it. The situation got really critical when she spoke about politics. “We shouldn’t be surprised that fundamentalists, of all stripes, everywhere, are exercised and fuming. We shouldn’t be surprised that these profound changes come at a much steeper cost than it seems would lie true in the 20th century. We shouldn’t be surprised if not everyone is totally down with it. But if we live through this precarious moment … if his catastrophic instinct to retaliate doesn’t lead us to nuclear winter, we will have much to thank this president for because he will have woken us up to how fragile freedom really is," she said. 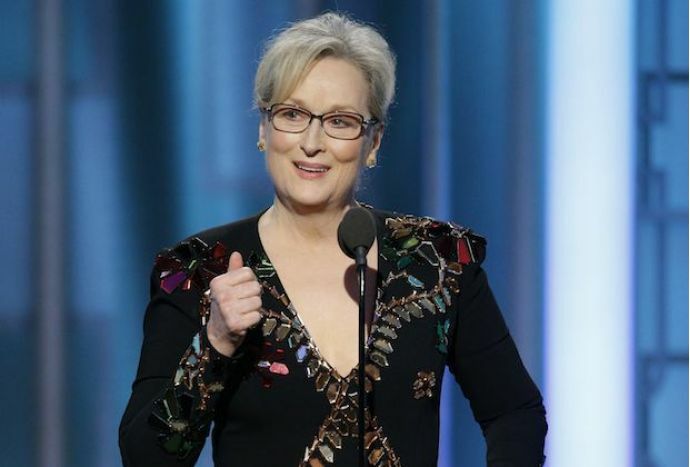 She also made sure to clear the air regarding her comment she made during her Golden Globe Cecil B. DeMille Award speech, during which she said football and martial arts were “not the arts,” calling it a failed attempt to crack a joke. The Ally for Equality Award recognizes individuals who have helped lend a voice to the LGBTQ community.